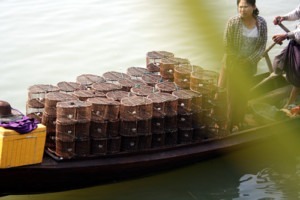 In March of 2015, ICEM Environmental Scientist Luke Taylor and partners on the Myanmar Healthy Rivers Initiative toured the Ayeyarwady Delta to speak with fishing villagers and gather local knowledge and experience from those living closest to the river. According to reports, fishing people from Nananpin Kone village in southern Myanmar have it tougher now than they had it 20 years ago. Nananpin Kone village is on the Ngawon River, one of many branches in the Ayeyarwady Delta. The vast majority of villagers are reliant on fishing livelihoods. In the past, one day’s fishing generated enough income to support a family’s livelihood. Twenty years ago, it was common to catch on average 3-4 viss (1 viss = 1.63293 kg) per night. But that same night’s catch has dwindled to 0.5 viss. The overall number of fish caught per person has declined, as has the size of the fish being caught. Some fish species have disappeared altogether. The number of people fishing the river has also increased. As marketplace demand has changed to include smaller fish, fishing people report that there are many more fishermen that catch all fish, including the small ones. Fishing gear technology has improved over the years to include the use of more sophisticated 3-layer nets and nets with a smaller mesh size, making it easier to catch even the smallest fish species. Villagers have also witnessed environmental changes to the River. Twenty years ago it was common to use nets that reached a depth of 20 feet, but because of increased sediment deposition, 12 foot nets are enough to do the job. Fishing people say that sand deposition in the river has significantly increased over the years. They claim this has changed the river from a brackish system to a fresh water system due to the increased height difference between the river and the sea and subsequent reduced tidal influence on the area. This change, they say, is the main reason for the disappearance of four species of fish and other species reliant on saline conditions. 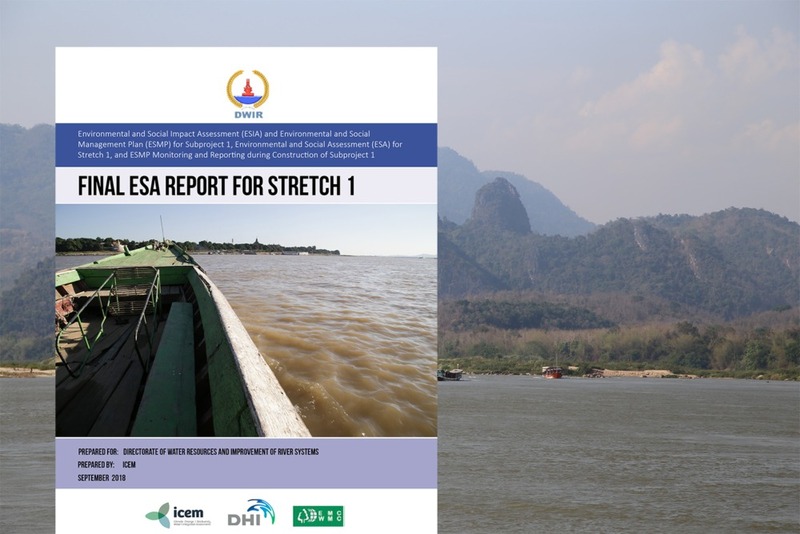 Visit this page for more information on the Myanmar Healthy Rivers Initiative.